The media has been focused on the controversy surrounding Steve Smith and David Warner and whether they will take part – their international bans will be lifted three weeks before the teams announce their squads. However, for Cricket Australia this is a minor distraction compared to the bigger issue at stake. Just how is it that the defending champions and the most successful team in cricket world cup history are seen as outsiders going into the tournament? Australia is currently languishing at sixth in the ICC ODI rankings behind England, India, New Zealand, South Africa and Pakistan. You might think rankings are one thing, but surely when it comes to the biggest event on the cricketing stage and one that Australia have won five times, they become irrelevant? Only partially. Those planning on taking advantage of the Unibet deposit bonus and placing a few dollars on the baggy greens will be offered odds of 6/1 on them winning the tournament for the sixth time, while India are at 3/1 and the hosts, England, favourites at 2/1. The World Cup trophy itself arrived in Australia on Monday as part of its traditional world tour in advance of the big event. As it was unveiled in Adelaide, Australia’s former fast bowler Shaun Tait played host. Despite a career that was dogged by injury, Tait played in two world cups, including the victorious 2007 campaign in the West Indies, so he knows what it takes to succeed. Will the Adelaide media event be as close as Australia gets to the World Cup this year? As a man once considered the fastest bowler in the world, Tait has first hand experience of how effective an aggressive top order batsman can be in posting an unassailable score or getting ahead of the rate in a run chase. He feels India’s Rohit Sharma and New Zealand’s Kane Williamson are among the best in the world at this, and will give their respective teams a real chance of upsetting the hosts. For Australia to be competitive, Tait believes that the team will need to leverage the power and influence of “Big Show” Glenn Maxwell by promoting him up the order. At the last world cup, he adopted the “finisher” role, typically coming in at six. 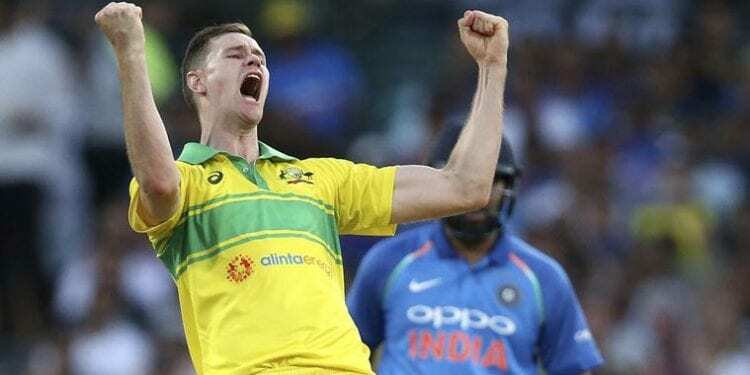 However, he has been batting at four in recent matches for the Melbourne Stars, and it is a position in which he looks increasingly comfortable. Given the paucity of established names in Australia’s top order and the latest rumours that Steve Smith’s elbow injury might keep him out of contention, it is an option to which Justin Langer is certain to give some very serious thought. The World Cup starts on 01 June, and as reigning champions, Australia are tasked with officially getting the proceedings underway when they take on Afghanistan at the County Ground, Bristol.